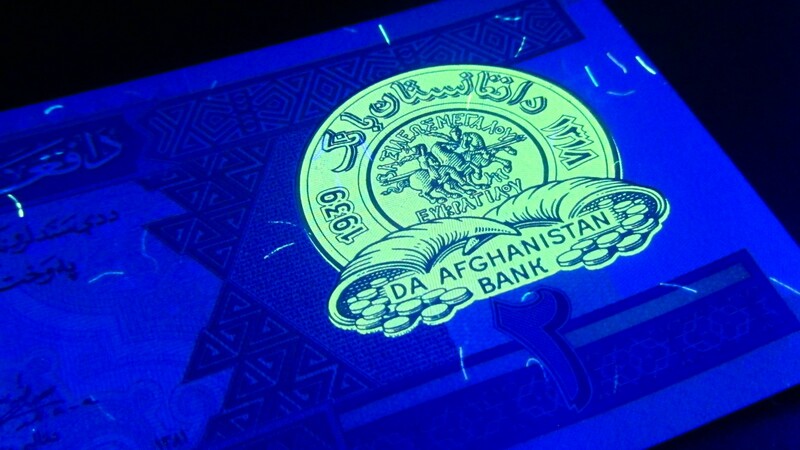 Adding more currency under blacklight pictures this weekend. Below is one from Afghanistan. In person, its very sharp, and very bright.